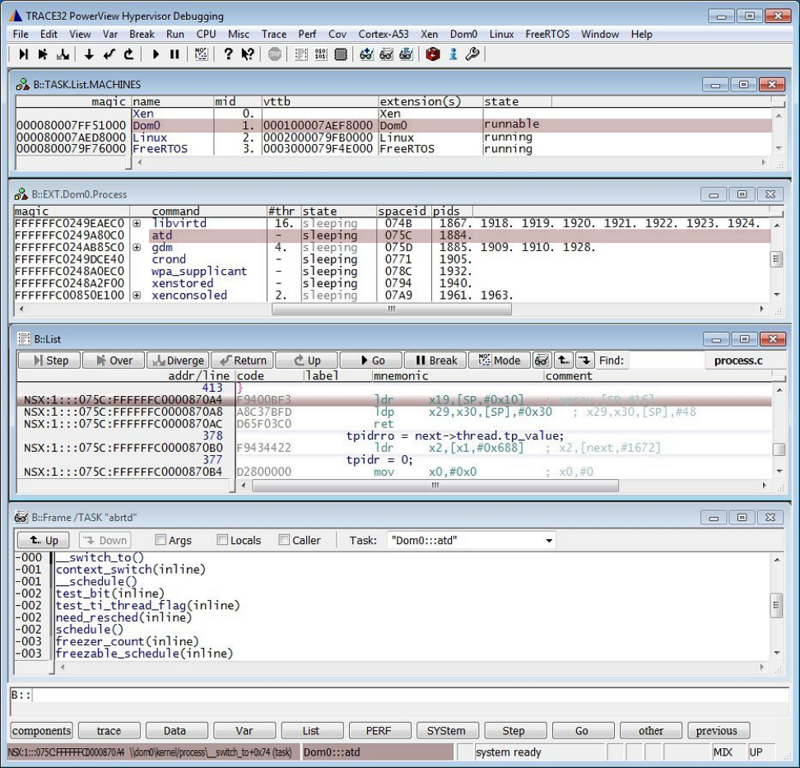 The most important objective of the TRACE32 hypervisor-awareness is a seamless debugging of the overall system. This means that when the system has stopped at a breakpoint, you can check and change the current state of every single process, all VMs, plus the current state of the hypervisor and of the real hardware platform. The TRACE32 hypervisor-awareness provides the debugger with all of the hypervisor’s information running on the hardware platform. After the OS-awareness is loaded for each guest/VM the debugger can display an overview of the overall system. TRACE32 assigns each VM a number, the machine ID (mid column). The machine ID is a unique identifier that is used by TRACE32 and appears as an address extension; a concept already familiar to TRACE32 users. 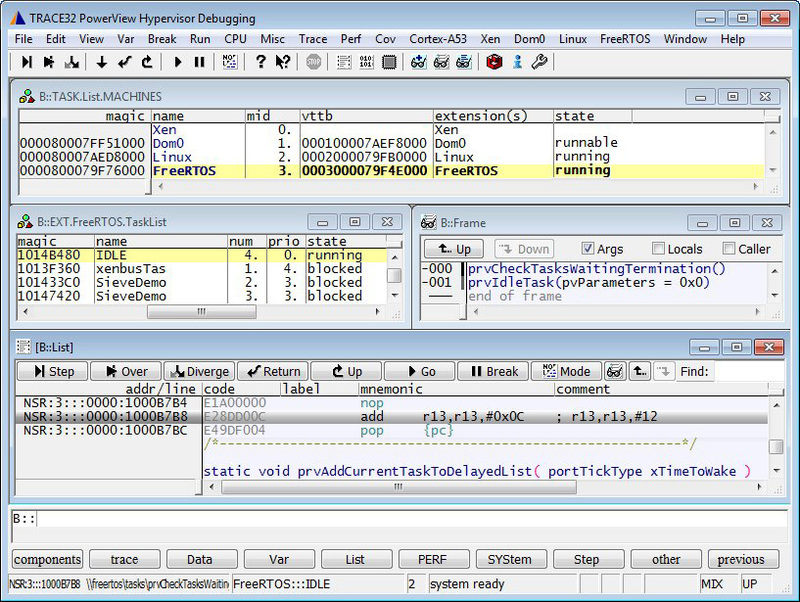 The Global Task List represents the heart of the TRACE32 hypervisor-aware debugging. It lists all tasks/processes/threads of the guest OSes and the hypervisor. TRACE32 can visualize the context of any task in its GUI. Just double-click to on the task name. The TRACE32 CORE.List window displays in detail what is currently running on the individual cores of an SMP system. The TRACE32 GUI visualizes the context of the current core/task by a double-click on the task name in the TRACE32 Global Task List. TRACE32 allows the visualisation of any task, even if its VM is currently not active. Sophisticated command options allow, in addition to intuitive operation, purposeful access to all system aspects.